Looking for private in-home or in-studio Fiddle lessons? Our Converse teachers are ready to get you started. Find your teacher today! Check out some of our most popular teachers near Converse, TX including San Antonio, Cibolo, Schertz, Helotes and Universal City. 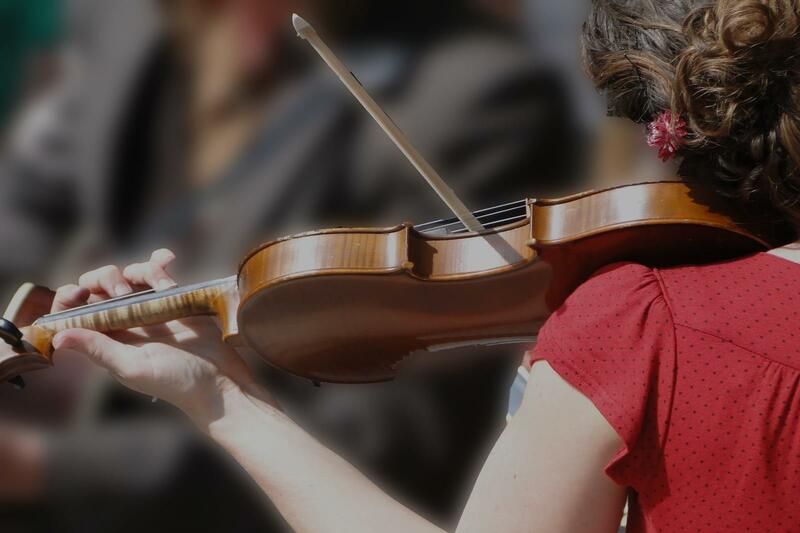 "Experienced fiddle performer and teacher of 25 years available for eager students of all experience levels and ages! I structure my lessons so students learn what they want to learn, while also building a strong foundation of fiddle perform skills. I specialize in blue grass, Celtic music typically use Celtic selection album and all level blue grass music books. Kelvin was very professional, knowledgeable and accommodating! Wonderful teacher! We can study fiddle tunes with book and CD! My training started when I was very young, age 7, with piano lessons. Since then, I have been playing music my whole life, and I love it! I received my Bachelor's in Music Performance 2001, and will receive a Master's in Music Education in 2017. I am currently looking for students for my private studio for ages 5 - 75, in string instruments violin, viola, cello, and beginner piano! pts and materials taken from the master teacher, Suzuki. From studying his philosophy and principals through research, I have found the Suzuki method to be a very holistic and "easy-to-understand" teaching method for young ages. For adult students, I have found success teaching a curriculum that just lets you play music and develop a love for your instrument. I mainly teach adults using lots of music from pop tunes, holiday music, fiddle and Americana music. My curriculum for adults is more about making music and less about playing scales and etudes, although focus on technique is integrated within the type of music books we use. I also teach high school, middle school and elementary school students all instruments, violin, viola, and cello. Students excel at a very high level with my training. This group will be asked to study music in the classical training method with scales, etudes, and standard classical repertoire, and help with their school orchestra music. Please inquire about training for this age group in person. Beginner lessons are great fun! Watch how the instrument turns into clay that molds to your hand, your musical talent. I love to see the amazement in the student when they realize playing a musical instrument is not as difficult as it may look. Each subsequent lesson is a building process, building upon the foundation from the previous lesson. It is imperative that students practice! Practice whenever you get a chance, even a little bit goes a long way. Pick up the violin for ten minutes while you wait for the meal to cook in the evening or waiting for the laundry to finish. Then, find some time to sit quietly in a comfortable space and focus just on the tone and quality of your playing. I also hold a yearly spring recital to allow my students to perform, all ages included. This is always great fun and very rewarding! Plus, I'm really excited about my adult students, who are "up and coming" artists! I'm looking to start an adult ensemble for a separate recital to showcase their hard work and enjoyment of playing for the sake of playing a musical instrument! Please inquire about the adult group, even if you have just a little bit of interest in learning the fantastic violin, viola, cello, or piano! It is great fun! Thorough and clear instruction. Excellent teacher! Five Stars! I'm a classical violinist, a loving single mother, and a independent business owner for life, health and accident insurance through AFLAC from New York. I am a very accomplished musician performing in many venues and events such as the Long Island String Festival, NYC All County Music Festivals, Valley stream District 13 Music Festival, NY All State Concert, NYSMMA Music competitions, and yes even Carnegie Hall with the NY Metropolitan Youth Principle Orchestra 1st Violin. Ive learned that nothing of value in life comes without blood sweat and tears but it is worth it. to take my son with my dogs (sometimes) to the park, museums, and church or teach him the various wonders of life. Shes a awesome instructor. She takes the time to explain details and all. I would recommend her to anyone that's interested in the violin. In addition to giving classical violin lessons for over 6 years, I love teaching traditional Scottish fiddle music. This genre compliments classical training exceptionally well, and offers students a unique creative outlet. Not only is Scottish fiddling fun, but it allows for a great deal of individual interpretation within the style. Stylistic ornamentation, tune types, tune structure, and developing sets of tunes will be highlighted in lessons, and tune composition will be encouraged. Hello! My name is Miriam-Rose, and I have been teaching violin/fiddle to students of all levels and ages for over six years. I was trained classically in the Suzuki method from a very young age, and also have a significant background in traditional music, specifically Scottish fiddle. During my time at Indiana University's Jacobs School of Music, I created my own degree with a focus on Scottish music, and also became the third place winner of the 2012 National Scottish Fiddle Championship. In addition to my background in music, I have a degree in Ballet Performance from the Jacobs School of Music. I have been teaching ballet since 2010, and have taught and danced professionally here in the Chicago area since 2013. Mariam-Rose is a wonderful instructor. She's very knowledgeable. She used the time to really analyze and work with my daughters ability. Afterwards she gave great advice, the pros and cons on what she needs to work on. Very good at explaining concepts in a second, or sometimes third, way so that her student can make an inner connection. I also admire the way she organizes her lessons so we refresh and enhance the previous session and then move on to new technique. Appreciate the professional way she communicates as necessary outside class, too. Can't find a teacher in Converse, TX?